Kieran Trippier vs Kyle Walker. The two fantastic right-backs in Premier League, but who has performed better in 2017/18 season? Kyle Walker played more games in 2017/18 season for his team than Kieran Trippier did — 32 to 24. Walker played more minutes than Trippier – 2787 to 1914. 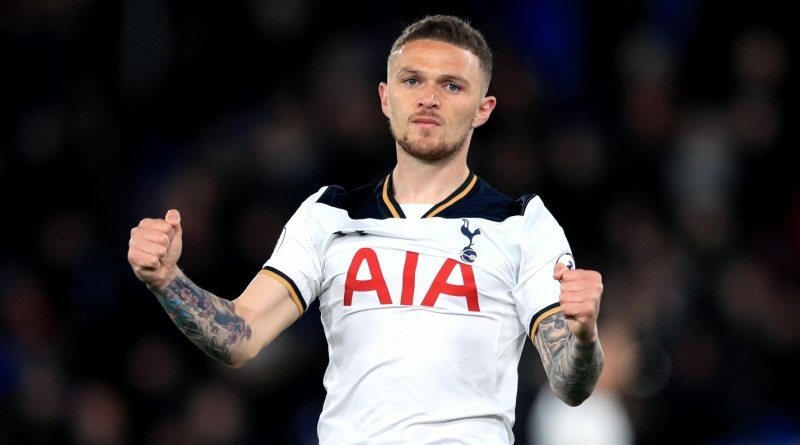 Kieran Trippier has recorded 2.2 tackles per match in Premier League (EFRating = 4.97), which is more than Kyle Walker’s 1.5 tackles per match (EFRating = 3.39). Walker has managed to get 2.1 clearances per match in Premier League (EFRating = 1.33), which is more than Kieran Trippier’s 1.9 clearances per match (EFRating = 1.21). Kieran Trippier has 0.3 blocks per match in Premier League (EFRating = 2.10), compared to Kyle Walker’s 0.1 (EFRating = 0.70). Walker provided more Premier League interceptions, he has managed to get 0.9 interceptions per match (EFRating = 2.45), 0.1 more than Trippier did (EFRating = 2.18). In Premier League, Kyle Walker has 0.4 dribbled past per match (EFRating = 1.25), while Kieran Trippier has 1 dribbled past per match (EFRating = 0.50). Kieran Trippier won 0.5 offsides per match (EFRating = 2.27), same like Kyle Walker (EFRating = 2.27). In Premier League, Kyle Walker has 0.5 fouls per match (EFRating = 2.00), while Kieran Trippier has 0.8 fouls per match (EFRating = 1.25). Based on the analysis above, Kieran Trippier is clearly the king of 2 defensive categories (tackles per match and blocks per match). Kyle Walker is the king of 4 defensive categories (interceptions per match, clearances per match, dribbled past per match and fouls per match). In conclusion, with all the statistics, Kieran Trippier seems like superior defender in Premier League.